The secret to cooking the perfect steak lies not only in the method of cooking, but also in the cut of the meat. The seasoning should be adjusted to fit your taste. In this guide we will show you 5 steps and many tips for grilling steak to perfection at home. 4) How Long To Grill Steak? There are two types of steak. Grilling steak and marinating steak. We like a thicker cut grilling steak and here’s why. Thicker steak gives better results. If the steak is cut thinly, you risk overcooking it. 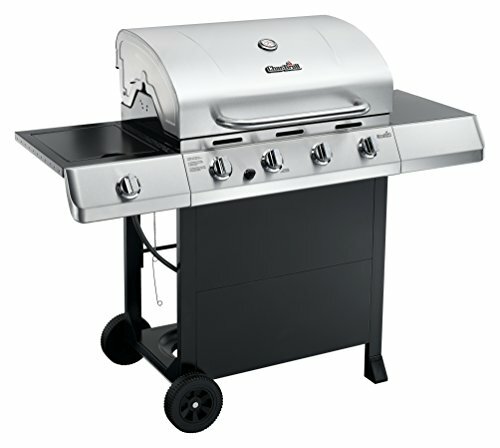 A thick cut of meat is easier to grill when using a budget ﻿﻿grill that doesn’t allow you to adjust the heat automatically. You can create multiple layers – brown and crispy outside with a juicy pink inside. A bigger cut means more fat. More fat means more flavors. Grilling steak doesn’t need to sit over night to be tenderized. Pick a steak that is at least 1" thick with a good amount of fat marbling is ideal. This fat not only adds flavor but also helps make your steak juicy and tender. Never stab your steak with a fork to tenderize it or hoping seasoning will penetrated the meat better. The only thing that you will be doing is allowing the delicious juices to seep out when cooking. The best way to grill steak is by using salt and salt alone. You don’t need any other seasoning for a good steak! Season the steak with salt for about 40 minutes before you intend on grilling it. While salt has a natural tendency to draw out moisture, leaving it for this length of time will allow the meat to reabsorb any juices that may have leaked out. Allow the steak to come to room temperature before proceeding to grill it. This will allow the steak to cook more evenly compared to a steak that just came out of the refrigerator. In addition, it will not take as long to cook. As you wait, take this time to preheat the grill to medium-high heat. You want your grill to be hot enough to sear the steak for a crispy ​outside to lock in the juices, but not burn it. There are many factors in to how long it will take to grill a steak. Each time you fire up the grill it will be different, but there are some tips to help you grill the perfect steak. Resist the urge to use a fork flip your steak as this may cause it to lose juices and become dry. Start by cooking the steak on direct heat for a couple of minutes to get a good sear on the meat. Flip it over and repeat. Now if you have if you have a much larger steak, let’s say 3 inches thick, you’ll want to move it to indirect heat and close the lid to allow it to cook. If you have a 1 inch thick steak, you can flip it back to the original side. In this case you may want to lay it differently so that the infamous grill marks will sear in to the meat. At this point you should flip the steak every 3-4 minutes to ensure that it doesn’t burn and that it cooks evenly on both sides. The best way to check your steaks temperature is to use your hand. We hate using a meat thermometer to pierce a steak (say good bye to the juices). Here are some general temperatures for internal steak temperatures. Burnt – At well done, you’re getting very close. Warning: The USDA recommends cooking to a minimum of 62.8C. So you may be taking a chance if you are eating anything under medium-rare. How long should a steak rest? About the same amount of time that it took to cook it. The outer muscle fibers are still quit tight from being cooked which sends most of the juices towards the inner part of the steak. Letting it rest allows the muscle fibers to relax and the juices travel back through the other parts of the steak evenly. Letting it rest on a cutting board is a good way to turn your steak cold. So we recommend either wrapping it in tinfoil or place in a container with a lid. Extra Tasty Tip: Add butter or garlic butter to the top of your steak before wrapping it. Did you enjoy this guide? Let us know in the comments with your favorite steak tips and experiences.